Shirts With Random Triangles: Mike Gundy in a wrestling singlet will haunt your nightmares tonight. Mike Gundy in a wrestling singlet will haunt your nightmares tonight. Ready for some nightmare fuel? 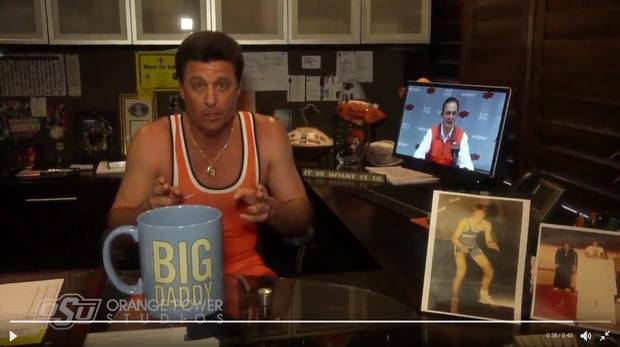 Oklahoma State head Mike Gundy coach donned a wrestling singlet in a video promoting this coming Saturdays dual between the Cowboys and reigning NCAA Division I wrestling champion Penn State. The young man in the photo is Gundy during his high school wrestling days.